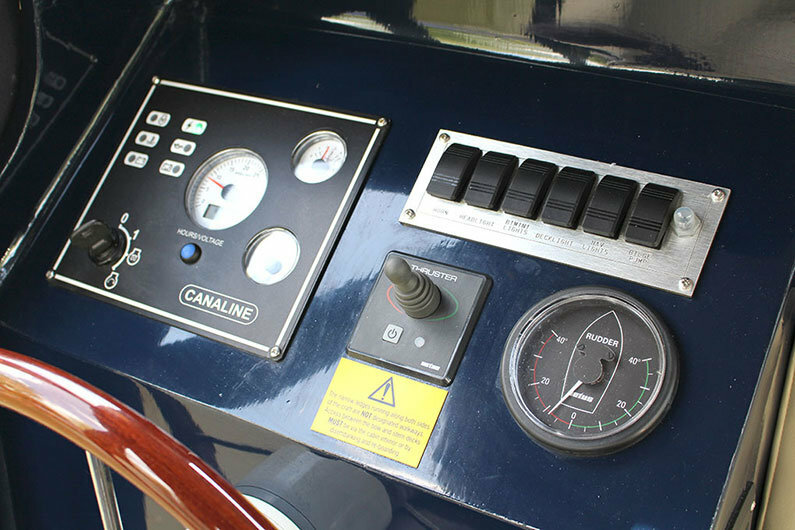 Most narrow boats use what are known as single level controls. In this system, a single lever at the helm is used to control both the engine speed and gearbox engagement. Engine Controls… A Very Simple Operation! 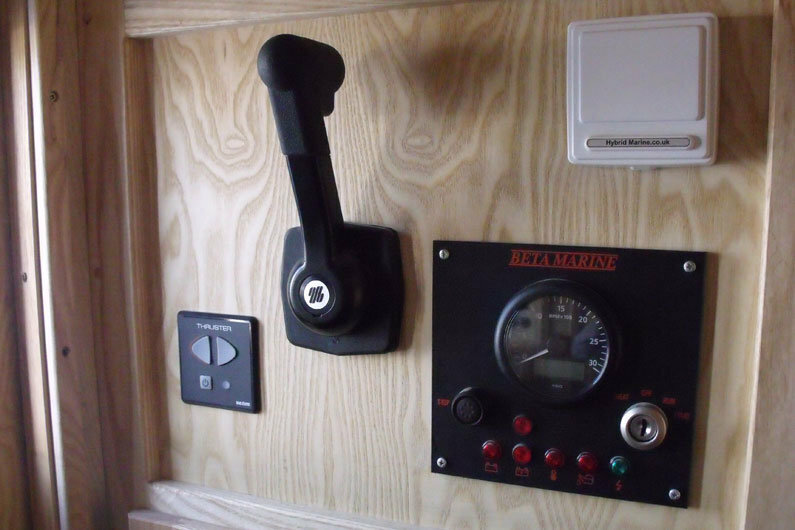 Most narrowboats use what are know as single level controls. 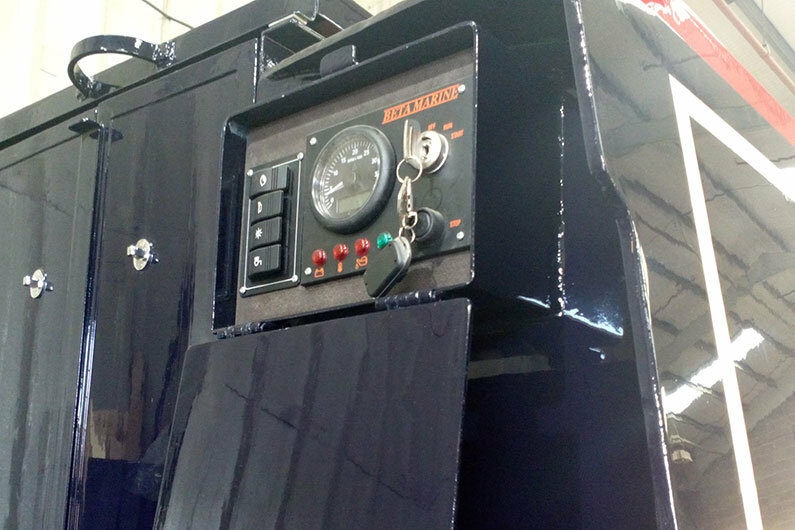 In this system, a single lever at the helm is used to control both the engine speed and gearbox engagement. There are small differences in operation from model to model but essentially pushing the lever forwards engages the forward gear on the gear box whilst activating the fuel injection pump. As the lever is pushed further forwards the engine speed increases and the gearbox spins the prop faster. Moving the lever back to the central position disengages the drive. Moving the lever backwards engages reverse gear and activates the fuel injection pump. As the lever is pulled further back the engine speed increase and the gearbox spins the prop faster. A brand name that has become synonymous with these clever twin cable controls is Morse.